Wide open views and within a short distance from Craig, Colorado! Elk, Mule Deer, and Antelope can be found in the open fields, bedding in the sage, or moving though the ravines of this open property. To the south and west of the (486 +/-acres), the seller also has for sale (273 +/- acres). Both properties are enrolled in the CRP program, until 2020. The combined properties generate a little over $15,000 annually. CRP has agreed to transfer and separate income if parcels are sold individually. Please call for more details. Addition Incentive - Seller has agreed to reduce price per ace to $1,000 per acre if both the parcels are purchased together. Total purchase would be price of $759,000! Vegetation - consists of natural grasses, sage, cottonwoods, and cattails. Topography rolling hills, wide open fields, varying depths of ravines. Water Mainly seasonal or monsoon season run off. A spring is located on the 486 acres that the owner is in the process of filing on the water rights. This spring and rights will transfer to buyer at closing. Hunting Great opportunity to harvest Elk, Mule Deer or Antelope. Located in unit 301, Elk tags are available over the counter for archery and 2nd & 3rd season antlered, rifle seasons. Mule Deer and Antelope tags are available through the Colorado Parks and Wildlife Draw. Views Beautiful wide open and unobstructed! Building Sites / Utilities There are multiple building site locations available with power available within a short distance. 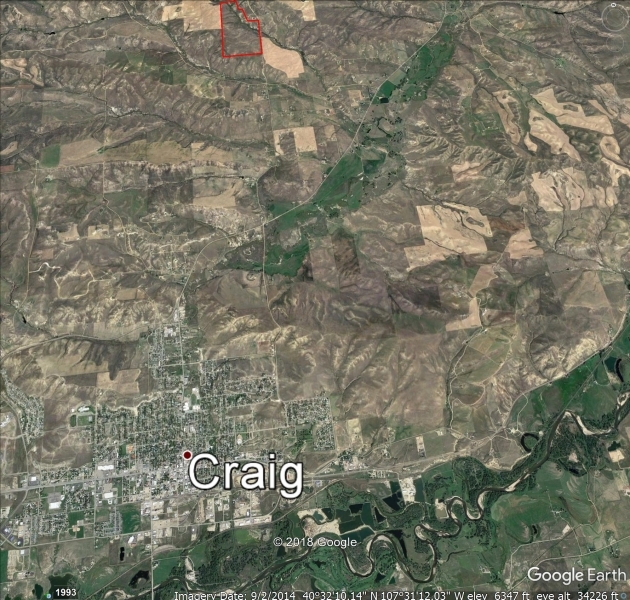 All your necessities can be found within 15 minutes in the town of Craig, Colorado. Commercial flights are available from Yampa Valley Regional Airport, located only 25 east of Craig, Colorado. World class skiing can also be enjoyed at Steamboat Springs! 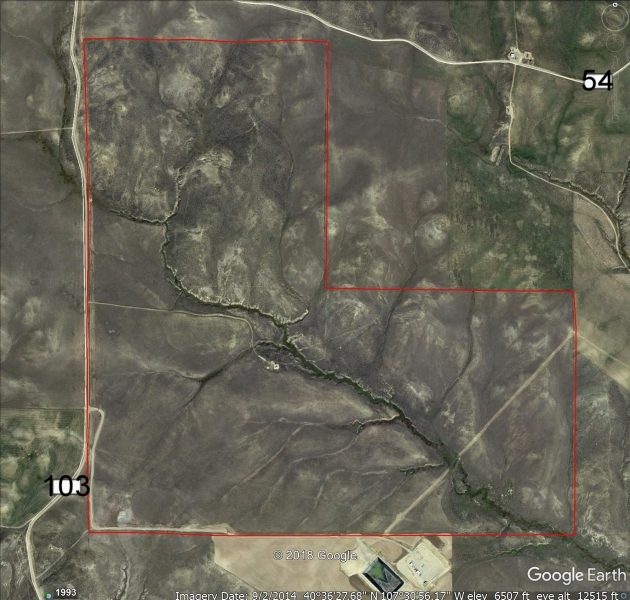 Please call me Mike Lewis 970-712-1404 for more information on either parcel or both parcels!